So rather than give you a list of the good, the bad and the ugliest classroom set-up ideas, I thought I would walk you through thinking up your own plans. Be warned. All of these questions may have you thinking that you’ve stumbled across the Riddler’s blog! How will students move through your room? Sit in your classroom and imagine how students will enter, get supplies and find a seat. What things will slow them down or distract them? Move those! When it is time to dance is there space? Will you have to move furniture each time? If so, what are some ways you can teach students to do this for you? Consider using a chart to let students know what format the room needs to be in. My students love to rearrange the classroom! How the room is usually set up. For choir days or if we are working on material for a program. Empty floor with all of the chairs stacked in the back. Great setup for circle games, drum circles and lots of activities. How will students get needed supplies? Will there be an office station where students can get paper and pencil? Do you keep clipboards for your students to use for writing activities? What will you store them in so that they fit when students just toss them in? I’ve learned that to keep the classroom traffic flowing you should place clipboards a good 8-10 feet from the pencils. Trust me. Will students have open access to instruments? How will you store and label instruments so this process goes quickly? Some instruments may need to be hidden. How will you do that? Stupid pencils. Every year I try something a little different and every year I am convinced that nothing works! Lol. I keep a pencil can because students never remember to bring a pencil each time. This works well when getting supplies. The problem? Disappearing pencils. I go through hundreds of pencils a year! How will you handle the pencil problem? When I taught computers I added a label with masking tape to remind students to leave the pencil they borrowed from me in the lab. Where will students be for most of the learning? Floor, carpet, carpet squares, chairs, risers? How will you optimize this space to keep students on task? Will you use a seating chart? Where will you be for most of your teaching time? Will you be at the piano? Your desk? Standing at a podium? What will you sit on for those rare moments when you can sit down and teach for a minute or two? I use a stool at the piano so I can see everything in the classroom even while sitting. Instead of sitting on the floor I have a preschool sized chair that I sit on when I lead the little ones. That being said I really do end up sitting on the floor a lot! What supplies do you HAVE to have near you when you teach? How will you store those? I call mine a “launch pad”. I have my remotes, iPad, attendance/seating chart book, lesson plan sheet and whatever manipulatives I may need for the day. Will you have an area for separating students that need a moment to get calm or collect themselves? What will that look like? How will it work? Can you stick to it? Will students line up in your room? In the hall? What will be the student cue for lining up? Is there a lining up song? Will you recognize student awesomeness when they line up? Sometimes I give out little certificates or treats before they leave. Musicians are Writers -This board actually stays on my wall right above the writing station that stores pencils, paper, folders, crayons, etc... Great cross curricular reminders here. Careers in Music -One of my goals as a teacher (even an elementary teacher!) is to prep kids to be great adults! How? Well...showing them that a love for music can translate into several job opportunities that are NOT just performance. This great board works K-12. Quotes About Music -Here's one of the posters below. LOVE them! (and they print pretty good in black and white on my old school copier!). "aDOORable Composers" - Okay..so I never feel like I have enough time to focus on composers in class. I use Composers of the Month and I plan things, but it seems that music history always gets the short end of the stick. So each month last year I posted a composer sheet from Meet the Composers on the door of my classroom where students line up. I printed out a simple sign that said "aDOORable Composers" to hang above it. Students that were waiting in line had something colorful and educational to look at! WIN! What is your plan for handling the ton of paperwork that will cross your desk? Folders? Drawers? Binders? I use a combination of things to tame my paper monsters. Right now I’m really into 3-ring binders. I’m using this one to keep things organized. Whew! What a list! Hopefully you have a great plan to create a beautiful and functional space for your teaching adventures this year. I look forward to seeing your photos! If you liked these ideas PIN them for later! Merry KISSmas and a CHAPpy New Year-fill with chapstick and chocolate kisses. Notable Year-music note duct tape makes an ordinary water bottle look cute. Add a drink mix and a little ribbon for added flair. This is a great way to package up several gifts. A fun (and healthy) idea for treats in the lounge. This would be fun to give students too! I know. I know. You may not be thinking of heading back to school yet, but I'm already starting to feel the itch. What changes will I make this year? What cool new Pinterest ideas will I use this year? What will my bulletin boards look like? Lesson planning seems to happen all year long and I already have a few great ideas to begin the year. Right now I'm thinking about decorating. 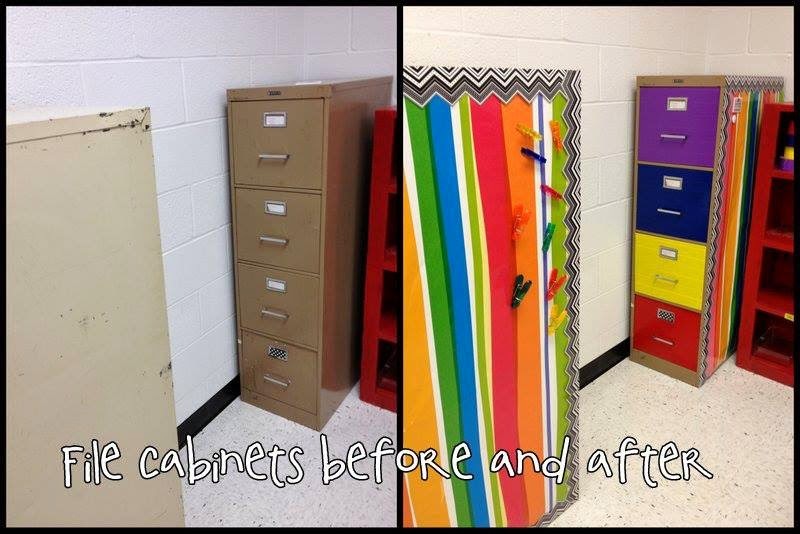 Last year I dabbled with duct tape to dress up a couple of old file cabinets. I used a solid color (although the patterns look FABULOUS!). Each drawer was a different color. I like the solid colors because they don't show how messy I was applying the tape! Not finished with the duct tape and wanting to keep the same color scheme I transformed an ugly set of metal mailboxes by adding a strip of duct tape horizontally. I then printed out a list of class names and added them on top of the duct tape with a piece of scotch tape. Easy to change next year and what an improvement! Pull up a Plate and Let's Make a Bulletin Board! Here are a couple of my favorite bulletin boards that I have made using this cute little plates. For this display the ZooPals are arranged to resemble an orchestra or a choir. The little speech bubbles near them have quotes about the benefits of music education or quotes from famous musicians and composers. This was one of the fastest bulletin boards ever! I love making bulletin boards with this playful plates and will miss them. Has anyone seen them in their stores lately? Maybe I can ship them in from somewhere! LOL. I like to make bulletin boards. :-) I wish I had more time because I would adopt several neglected boards in my schools and make them beautiful. Although I make many music bulletin boards (duh!) I also have made quite a few bulletin boards about character education. I thought I'd post a few of those ideas here. This bulletin board features pictures of our teachers and staff. Pictures were printed to the copier in the workroom to save the expense of having the photos printed at a photo lab. This was quite an attention grabber! Okay...I must admit that birds kind of freak me out a little bit. I'm not afraid of them, just think they are prettier from afar! LOL. 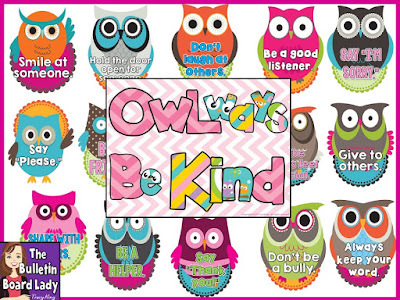 This owl themed bulletin board is easy enough for me to take. *giggle* It highlights ways that students can be kind to each other. I think that when I display it again, I may create some paper trees for these hooters to sit on. You can get this board HERE. There are three beehives on the board. One says "Respect Yourself." Another says "Respect Others." The last one says "Respect the Property of All". Around the beehives are little bumblebees that explain what the hives mean. For examp around the "Respect Others" beehive the bees say "their ideas", "their space", "their family", "their successes" and so on. This simple bulletin board let every student join in on the anti-bullying message. The board was covered with blue paper and an aquatic border. Each student in the school was represented by a fish with their name on it. It was quite an impressive display and the students loved finding their names and the names of their friends. I love Kindergarten art! This bulletin board contains the definition of compassion (that's what is on the purple sheet in the middle) and paper plate angels made by the Kindergarten class. Honesty: Can You Find An Honest Abe at Our School? The teachers and staff were such good sports! For this bulletin board they put on a fake beard and eyebrows to match their Abraham Lincoln hat. If that wasn't enough, then they had their picture taken! LOL. This was great for showing the students that there are great role models around them every day. Look, sometimes we've GOT to talk about some yucky things. 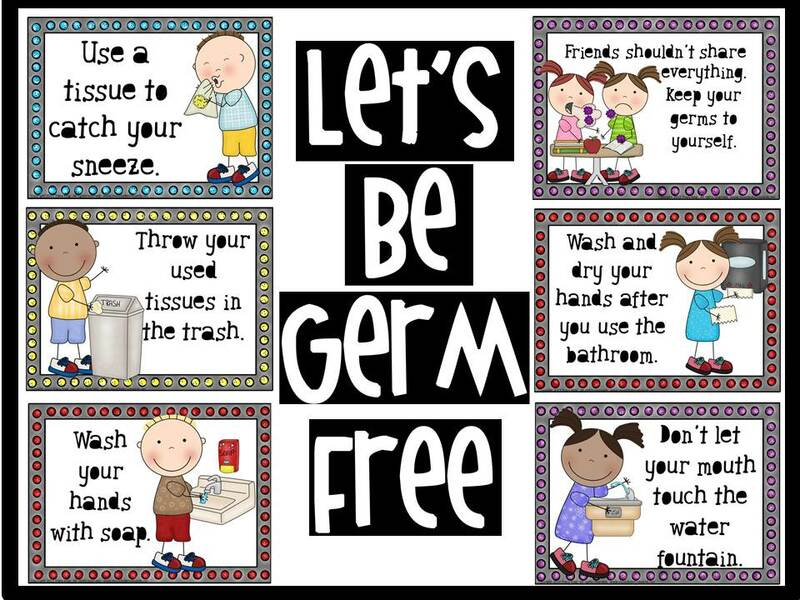 This cute bulletin board helps remind students how to be less sticky and icky. :-) I leave it up all year! Get it HERE. I think this board went up in February and the theme went well with Valentine's Day. The little hearts that make the border for this display say things like "So sorry." "It's okay!" "I forgive you!" and "Let's make up!" 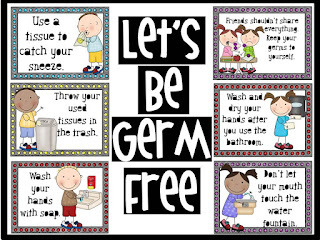 Need some more ideas for bulletin boards that teach good character? Check these out these boards. 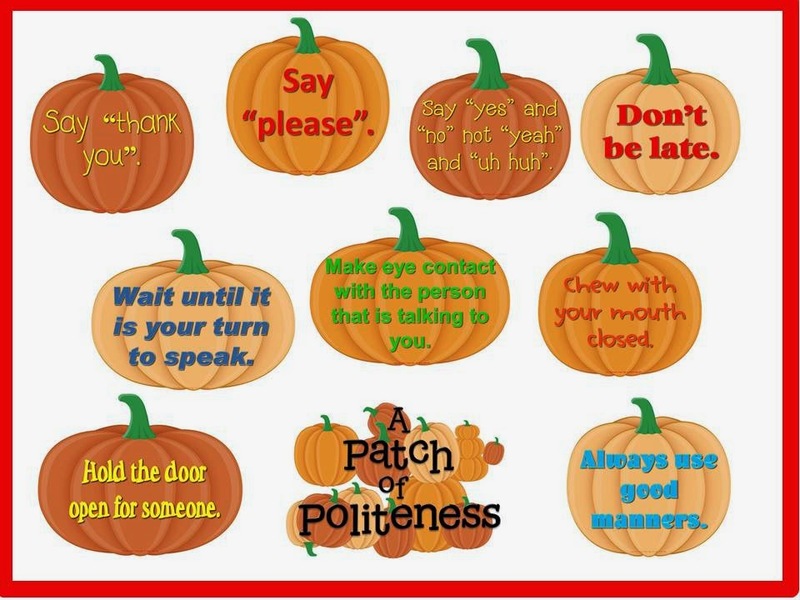 You can also download Patch of Politeness for free. This is the third blog post in a series to help you make workstations work for you! See the first post, Getting Organized for ideas about how to plan and organize your supplies and time. See the second post to learn what you can do in a workstation. This post contains a HUGE list of ideas. You’ve organized your classroom for workstations, you’ve planned the activities that you would like to do with your students and now you’re ready to go! Here are a few ideas to make sure that workstations are working for you. If you have never had students work in centers in your classroom don’t plan to be at one of the stations for a few class periods. Often I plan myself as a station and will work will small groups of students on matching pitch or reading music or vocalizing or a million other things. Unless you are comfortable with the group that you are working with, I don’t advise doing this until you’ve “trained” them to work in stations and rotate at the appropriate time. Instead use this time to walk around the room. Notice which students are natural leaders. Encourage reluctant participants to be a part of the activities. Quite the noisy groups. Praise the hardest working groups. Use a simple spreadsheet to record student success. I use a very basic rubric to mark as I walk around the room while students are working in stations. I’ve discovered that I can’t mark every student at every station during every class period. I mark what I observe and draw a line through the centers that I don’t observe. I suppose if I didn’t stop to interact with students I might be able to make it through everyone during each rotation, I just don’t make that a priority. Take a look at this simple sheet that can be used to track students during workstations. While walking around your room taking notes on student behavior and achievement don’t forget to evaluate the activities. Are they easy to complete in the time each group spends at the station? Is there a learning goal for each station? There doesn’t need to be, but there should be a purpose. Even the “just for fun” centers should have a purpose. For example at the reading station I will let students choose any of the books to read. What learning is taking place there? Well…I don’t know. Not always, anyway. The learning that takes place here is student led. Perhaps they are reading about a composer or a musical adventure. Maybe they are reading a rhyming book and working on pace and rhythm without even knowing it. The purpose is to give them experience with literature that enhances a music skill or exposes them to a musical concept. Sometimes one of my stations is Singing Puppets. I’ll toss a few puppets in the box with some Wee Sing songbooks or lyric sheets and students are instructed to only use their singing voice at this station. Often this results in students “singing” their conversations while using the puppets. What’s the point? Well…it’s fun. Sometimes fun should be the purpose. This fun activity though is meant to get students singing! Silly songs, serious songs, with a friend, on their own…singing! I’ve watched students that will never, ever sing a hello echo to me blossom with a puppet on their hand. No, seriously. Don’t give up. I’ve tried lots of different activities in workstations. Some of the activities have become favorites and I use them all the time. Others make me ask “What was I thinking?” and draw little frowny faces in my plan book. Sometimes an activity that I think is absolutely teacher-of-the-year-brilliant goes as well as a first year teacher trapped in a bathroom with 30 kindergarteners in a tornado on the day after Halloween with the class ferret and a broken jar of fire ants. It’s just not pretty. Sometimes I’ll try it with the next group just to make sure that it is horrible. Sometimes I’ll tweak it just a little bit and see amazing results. Scrapping it or saving it can’t always be based on the way one group handles the task. Try putting the idea on a shelf and coming back to another time. Workstations are an amazing way to add student centered learning to your classroom. By organizing, planning and experimenting with workstations I know that you’ll be astonished with the results. Looking for some activities for your music workstations? Please check out my bundle of music workstation activities. I think you’ll be pleased with the variety of activities you will find in it. What tips and tricks can you share? 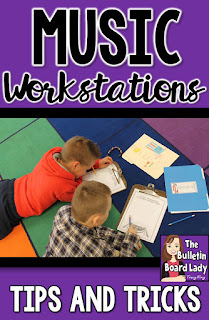 Link up below to share ways that workstations work in your classroom. You don’t have to be a music teacher to share your ideas! 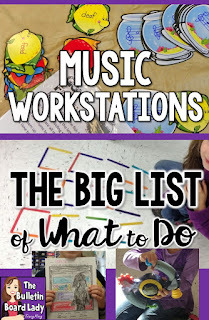 Music Workstations: What Can You Do at a Workstation? This is the second blog post in a series devoted to Music workstations. 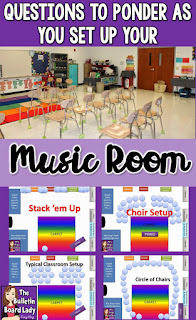 Check out the first blog post about Getting Organized for Music Workstations to learn about planning and setting up your teaching space. In this post we are going to talk about what students will actually do at each workstation. Often the activities that I have students complete in centers are ones that we've already done as a whole group. This gives students confidence and results in less off-task behavior. Not every activity lends itself to this kind of introduction so I always try to include a task card or directions at each station. 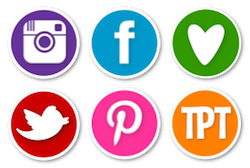 In the lists below you'll find links to blog posts (mine and others) and products (mine and others) that may help you in planning and creating activities for your students. 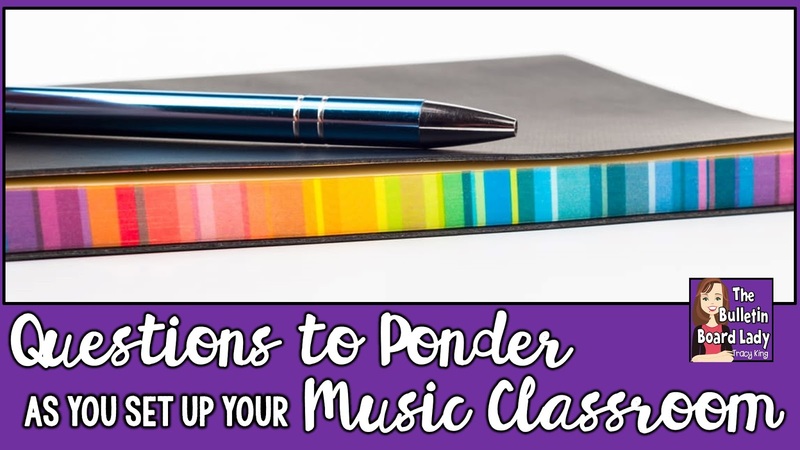 So...what can students do at a music workstation? Use puppets and Wee Sing songbooks, lyric sheets from songs you are working on or seasonal songs to get students singing! I always tell students that the puppets can sing only. No talking. Include lyric sheets and have students cover part of the page with sticky notes, poker chips or painters tape and sing through it. Great for memory work! Vocalizations-Such a fun way to help students explore their voices. My kiddos love this one and this one. Print out simple folk songs that are color coded to Boomwhackers or hand bells. 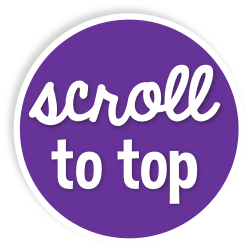 Pick a story or poem for students to read. Have students add sound effects while reading it out loud. Use Martha Stanley’s Mighty Music Grid to practice drawing notes, composing simple rhythm songs to clap together and more. Bottle Cap Staff-Such a fun way to practice placing notes on lines and spaces, identifying pitch names and “spelling” on the staff. Create an Original Mnemonic Device –Have students brainstorm new sayings to help remember the lines and spaces of the treble clef staff. Caterpillar Rhythms-See them in action here. Apps to Try: JazzyABCs, Garage Band, Virtual Drums, Mini Harp, Music Keys, Piano Pals. Wow...there are so many more amazing apps I could list here, but to save time I'll let you link me up in the comments section. Watch videos about instruments from YouTube. I love the ones that show how an instrument is made. Set up a classroom library! There are many great books about music, instruments and composers that students love to read. Books that are also songs are great choices as well as books that can be read rhythmically. Composer biographies are great for upper elementary. Check out www.makingmusicfun.net for free biographies and worksheets. Composer Coloring Sheet and Bulletin Board –Bulletin Board pieces could be used in a center. 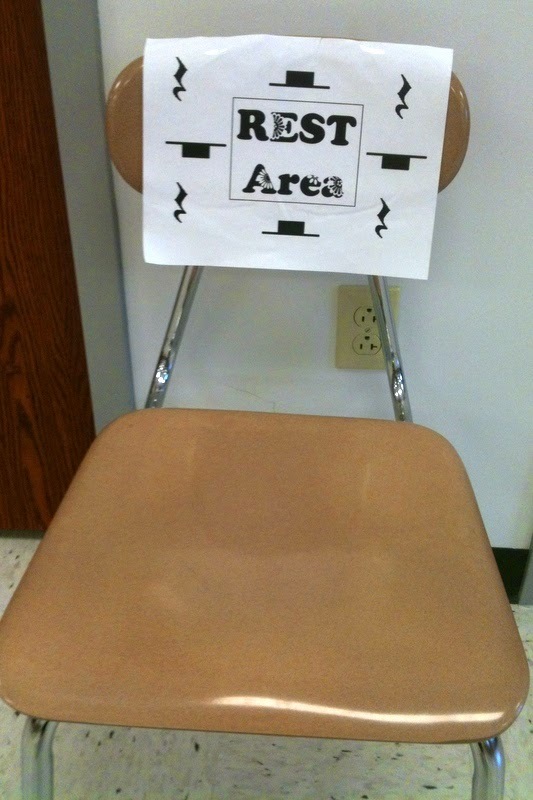 Set up a listening center in your classroom and choose music that coordinates with things you are studying in class. 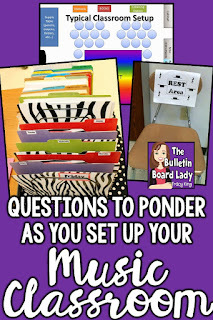 Add listening sheets to the station to encourage students to listen for specific musical elements. Younger students can write or draw about music. Bop-It and electronic Simon Says -They are great for rhythm, coordination and melodic memory. Candy Land-convert and use for note differentiation. Amy Abbott from Music al a Abbott has a great selection of music themed games. Check them out! Talk About Tunes- Students pull out a topic and everyone in the group takes a turn answering. Teacher Time-Be a workstation! Use your time with each of the groups to assess pitch matching, instrument skills and more! Whew! That's quite a list to get you started! This is really just the tip of the iceberg. There are so many student centered activities that we can plan as part of our regular curriculum that really let students take the lead in their own education. They are fun and engaging for students and easy to set-up and assess for teachers. Do your students work in centers or workstations in your classroom? What kind of activities do you do? Share with me in the comments. I'm always looking for another great idea to get kids singing, reading, playing and moving!